Over 200 people attended the Education Series this spring hosted by the Tulsa Preservation Commission. 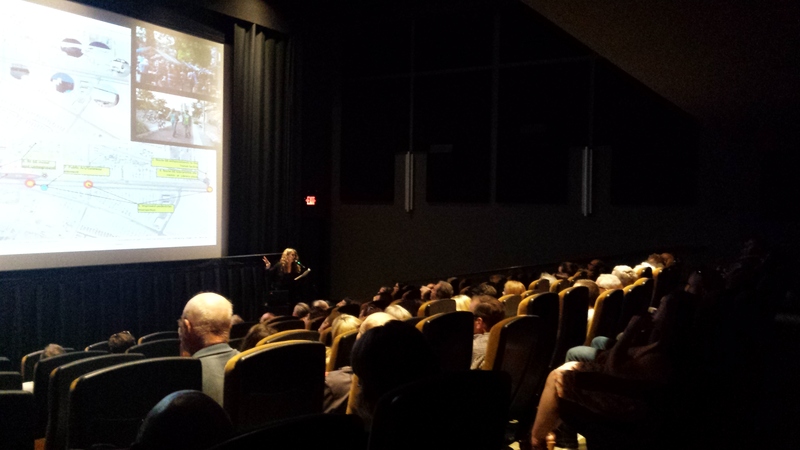 With topics ranging from historic preservation tax credits and heritage tourism on Route 66 to sustainable design and community character, these four lectures broadened our knowledge and enriched the dialogue about historic preservation in Tulsa. This series was funded by a grant from the National Park Service through the Certified Local Government Program. All of the lectures were free and open to the public. 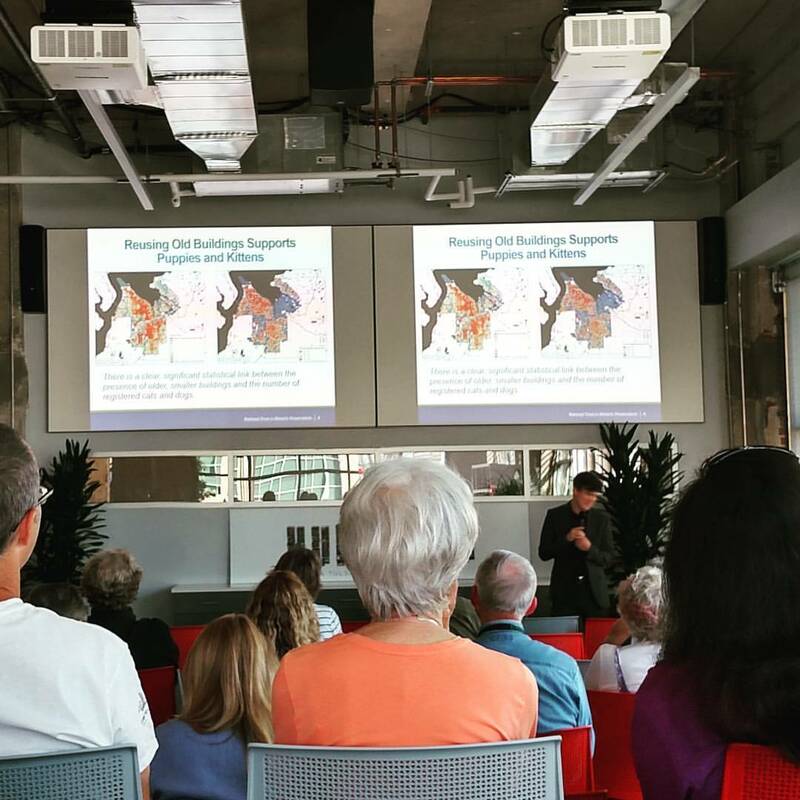 The first lecture, “Redefining Stewardship: Designing for a Sustainable Future,” was presented by Tina Roach, AIA, LEED AP on April 7, 2016, at the Cyntergy Community Room. Over 40 participants learned how Ms. Roach and her team at Quinn Evans Architects integrate sustainable practices and the Secretary of the Interior’s Standards for Rehabilitation to preserve historic buildings. 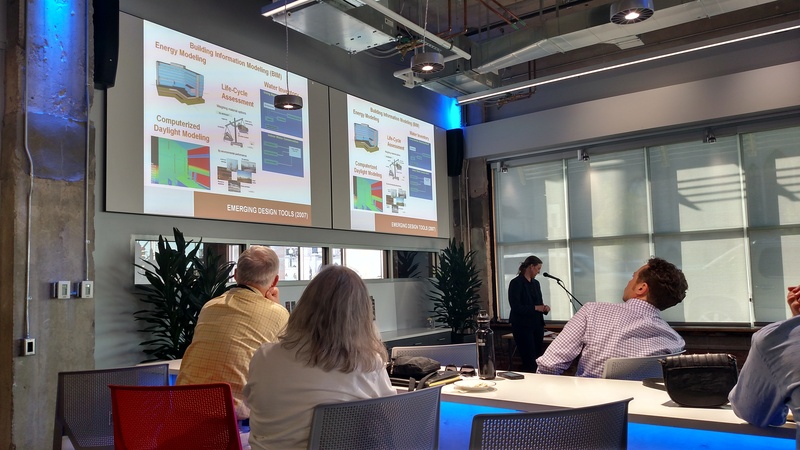 Drawing upon a variety of projects, Ms. Roach introduced the audience to strategies to improve energy efficiency while protecting the character- defining features of historic architecture. 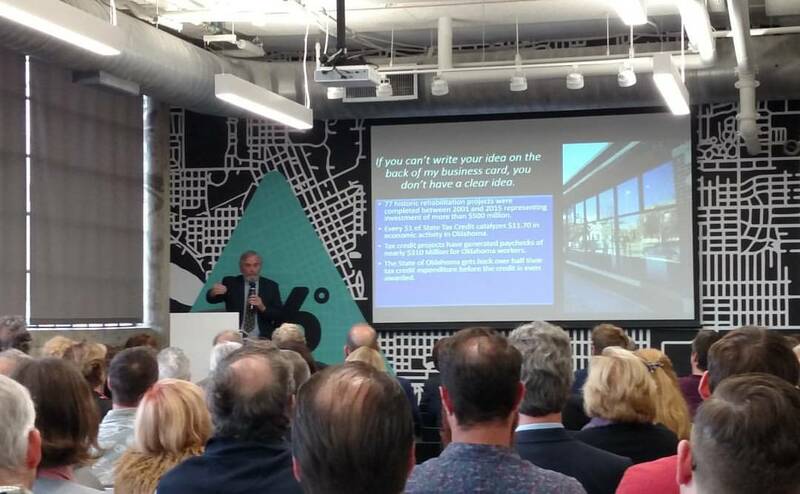 On May 14, 2016, a packed room at 36°North listened to Donovan Rypkema’s presentation on the economic impact of historic preservation—“Positive Impact: Historic Tax Credits Transforming Tulsa.” Since 2001, 77 historic buildings throughout Oklahoma have been fully rehabilitated using the credits, 18 of which are in Tulsa. Over$157 million was expended for rehabilitation with total project investment reaching more than $230 million. The Historic Preservation Tax Incentives Program has been remarkably successful in creating jobs, generating tax revenues at the state and local levels, and increasing the understanding and appreciation for the wonderful history of Oklahoma represented in its historic buildings. Download the Presentation and Flyer. Dr. Michael Powe, Associate Director of Research at the National Trust for Historic Preservation’s Preservation Green Lab, presented his lecture “Older, Smaller, Better: Community Character and Vitality” to 40 participants on June 7, 2016, at the Cyntergy Community Room. Green Lab’s Older, Smaller, Better report used maps and statistics to demonstrate the critical role that older, smaller buildings play in supporting the social, cultural, and economic vitality of urban neighborhoods. After focusing on studies in Seattle, San Francisco, and Washington, D.C., he applied the lessons learned from those analyses to Tulsa, showing maps with its oldest, smallest, and most diverse buildings. Areas with these buildings have the most potential to foster creative economies. Download the Presentation. The last lecture of the series was “Preserving Route 66: Economic and Cultural Benefits.” Kaisa Barthuli, Program Manager of the NPS Route 66 Corridor Preservation Program, and Amy Webb, Senior Field Director for the National Trust for Historic Preservation, presented the economic impact of heritage tourism and how small preservation projects can impact the neighborhoods and commercial districts along Route 66. Heritage tourism generated $2.1 trillion in the United States in 2015. Travelers along Route 66 are mostly middle-and upper-income tourists that spend an average of $2,000 per travel party, and communities on Route 66 have promoted their resources to attract these visitors. Some travelers save money for holiday some opt for no credit check loans no guarantors scheme. To be successful in heritage tourism, five principles should be followed—collaboration, creation of a fit between community and tourism, active engagement of sites and programs, quality and authenticity of experience, and protection and preservation of resources. Download the Presentation on Heritage Tourism, Presentation on Route 66, Heritage Tourism Handout, and the Economic Impact Study.